Cask strength whiskies have amassed a growing fan base over recent years but, naturally, there are those who are less than keen to let high abv spirits pass their lips. Martine Nouet explains why she often finds cask strength expressions less than favourable. I will probably shock (or disappoint) many whisky drinkers by saying I am not a fan of cask strength whiskies. I will qualify this opinion when developing my arguments but, no, I don't handle high proof whiskies well. 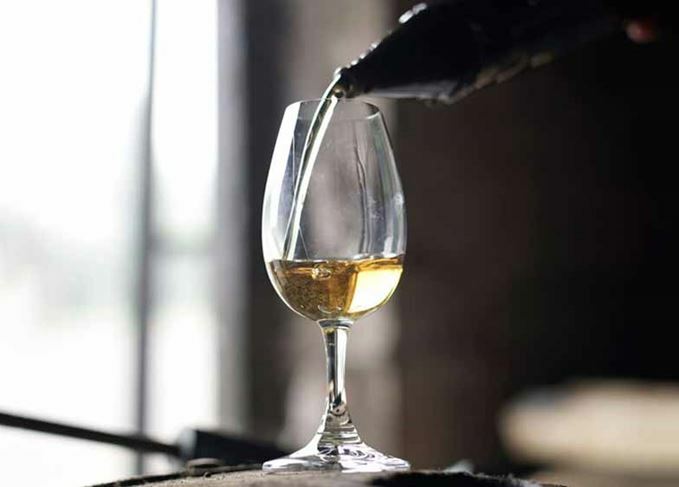 Cask strength single malts – whether they are single casks or a vat of several casks – have become increasingly popular, the main reason being that you, the consumer, are the one to decide how much water to add to your dram. I understand how attractive it can be to play blender and to assume you have a total control on the aromatic profile of your whisky. But it is misleading. There are two sensitive issues here: first, the quantity of water you add to your whisky to reach the perfect drinking strength. I know that adding water gradually with a pipette limits the risk of drowning your dram, and you can always add more whisky if you need to, but then you end up drinking more alcohol than you had intended. Secondly, there is the issue of the quality of the water you use. We can all agree that tap water is not an option, but the profile of mineral water can make a real difference. Some years ago, I hosted a tasting session for Whisky Magazine France. We had three very different cask strength single malts, which we tested with four different mineral waters. We were flabbergasted by the results. Each water brought out noticeable differences in flavour from the same whisky. I can't imagine myself trying three different waters until I find the best choice when I share a dram with friends. That would certainly be the best way to kill the enjoyment. When I drink a bottle strength whisky I know I will not have to add water – something a French person does not like to do (probably because we are used to drinking Cognac, Armagnac or Calvados neat). I prefer to trust the professionalism of the distiller who will have reduced the strength gradually, giving enough time for the alcohol and water to mingle. This cannot happen in your glass; they will fight. I always get a soapy note at first when I add a dash of water to my whisky. So which bottle strength whisky am I talking about? I will agree that 40% abv does not do whisky justice. There is often that disappointing watery edge on the mid-palate. Then there’s 43% abv, which is slightly better but the main concern here is the chill filtration. The process guarantees clarity but removes aromatic substances from the whisky. A non-chill-filtered whisky needs to be bottled at a higher strength (46% abv minimum) to prevent cloudiness forming at a low temperature. Of course, cask strength whiskies are non-chill-filtered. Does chill-filtering really ‘strip’ the whisky, taking off fatty acids which are part of the aromatic profile? This is another point of debate, and a subject the industry is divided on. To me, a non-chill-filtered whisky will always deliver more flavour. Last but not least, the number of years the whisky has spent in casks, the type of cask and the filling strength are three factors that make all the difference. Not all whiskies are put in the cask at 63.5% abv (which is considered by some distillers as the best strength for good maturation, but that is for another debate). More and more distillers are choosing to fill the cask at still strength – which is around 70% abv. ‘Why mature water?’ they argue. Also, the lack of space in the warehouse and the increasing difficulty to get good casks calls for such decisions. So starting from 70% abv, if the whisky is bottled after five or six years, it will still be at a very high strength. Caol Ila is one the best examples of this. Sorry, but I cannot sip a 64% abv dram. Now, if it is a first fill Sherry cask like Aberlour A'bunadh, if I add water I immediately enhance the woody flavours, leading to an astringent finish, close to an oak tea. I am not a masochist. That does not work for me. But give me an old whisky at cask strength and I will be delighted. A 30- or 35-year-old single malt below 50% abv does not have the fiery temper of a young one. Where is the pleasure in a prickly nose, or burning palate? You can cut the edges by adding water but again, which water should you use, in what quantities and to what effect? If I compare this with cooking, when you make a sauce, you mix all the ingredients of the recipe, liquids (water, wine or oil) included. They cook together to make a sauce with a certain taste and texture. Now, if you think your sauce is too thick you will add some liquid. But this liquid will never mingle with the rest. The taste will never be as good. I had to face this dilemma recently as I decided to have my Port Charlotte cask bottled. Distilled in 2001 when the Bruichladdich distillery re-opened, my first-fill Bourbon cask slowly matured in the Port Charlotte warehouse. I regularly sampled it, year after year, and it was only last year that I thought it was ready for bottling. The distillery gives their customers three options: to bottle at cask strength, at 50% abv or at 46% abv. Even though it had mellowed after 15 years in cask, my whisky was still burning at cask strength. I know I will be criticised by purists for having done so, but I chose to have my cask bottled at 50% abv and the reason was not to get more bottles. My whisky is incredibly smooth without having lost its temper and complexity. It has also been reduced with Octomore Spring Water – a real plus. It just goes to show that you don't have to shout to be heard.